Vertical video is the new trailblazer of the mobile advertising frontier, and with good reason. Nearly 70% of all digital media consumption is happening on a mobile device, and while users scroll through social feeds or play games they’re holding their phones vertically 90% of the time. With mobile users consuming vertically-oriented content, it’s no surprise advertisers and publishers alike are looking for ways to reach valuable audiences at scale without disrupting the user experience from publisher content to viewing an ad. At Chartboost we know delivering an engaging and immersive ad experience is a top priority for both our publishers and advertisers. That’s why today, we’re very excited to fully support the new vertical video ad format on the Chartboost network! After analyzing the types of publishers on the Chartboost ad network, and more specifically the orientation of their games, we found that 43% of publishers have games that are played in portrait mode (vertically-oriented). We’ve already seen some incredible results for both our publishers and advertisers leveraging the new vertical video ad format. 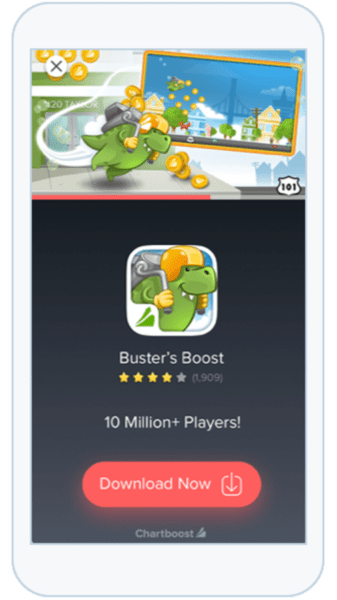 Playrix, a leading mobile game developer studio, that brought you titles like Fishdom and Township, launched vertical video ads for Gardenscape. After test driving the new Chartboost vertical video ad format, they saw over 30% increase in install rate (IR). Overall, our advertisers saw up to 20% lift in IPM (install per thousand impressions), this is a combination of increases in the CTR and IR (install rate). Publishers serving high-quality portrait video creatives generated more traffic and installs, resulting in an average 15% increase in eCPM. 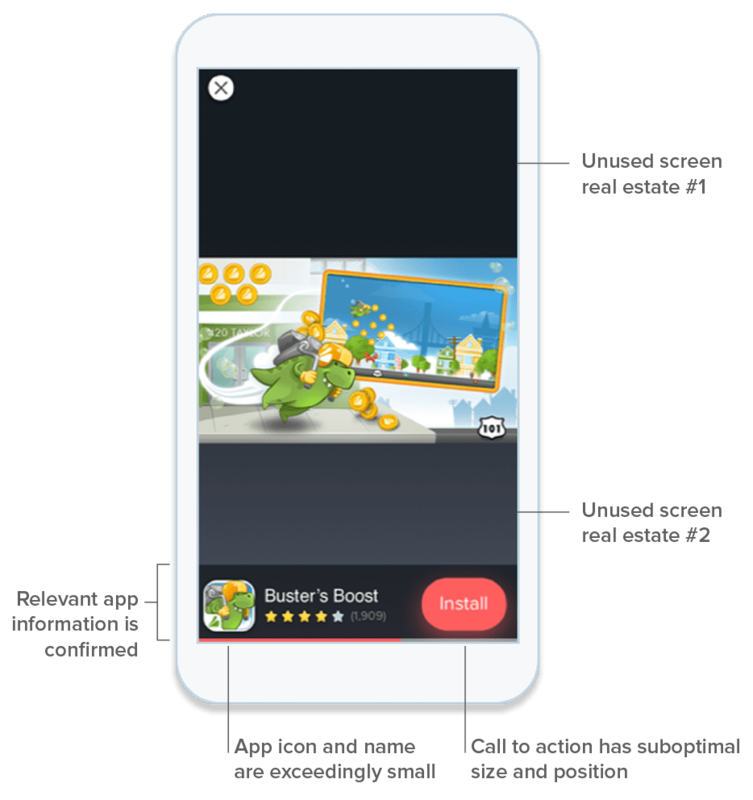 Portrait app publishers can showcase full-screen examples of their apps in ads, using interactive content that highlights true gameplay demos. With this added flexibility to upload full-screen video creatives through the dashboard, advertisers can leverage prime in-app real estate to serve immersive ad experiences that fit how the user is already interacting with content. For publishers monetizing their portrait games, vertical video ads improve the overall user experience with a more seamless ad integration. Chartboost has reiterated on vertical video ad format a couple times (read the full story). Shortly after redesigning our default video ad template back in February, we returned to the drawing board….again. This time we wanted to make further improvements to the user’s experience by using 100% of the screen to optimize the video ad experience on portrait oriented devices. Before releasing the new vertical video ad format, we still supported creative with a 16:9 or 4:3 aspect ratio (horizontal video). Our last design iteration featured a horizontal video at the top, allowing for more screen real estate to clearly display all other relevant app information – the app icon, rating and total downloads. We also enlarged the CTA to accommodate users who might be holding their mobile device with one hand. 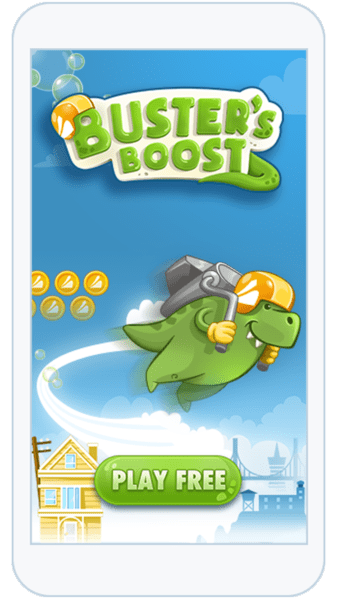 New Chartboost Vertical Video Ad Format! Now with the launch of vertical video ad format, advertisers can upload creative with 9:16 or 2:3 aspect ratios and attach either a horizontal video, vertical video, or both to a campaign. Vertical video is available for both interstitial and rewarded videos. Want to get started with vertical video creative? Chartboost advertisers can upload creatives directly in the dashboard starting today – go ahead and give it a try here. If you’re a publisher looking to increase your revenue and enhance your ad experience, get the latest SDK here.